On October 27, a man opened fire at The Tree of Life Synagogue in Pittsburgh, Pennsylvania. The shooter killed 11 people and injured six. The attack took place while members of the synagogue were praying. The suspect allegedly yelled “all Jews must die” before opening fire, and had various anti-Semitic posts on his social media. The shooting is being labeled as an anti-Semitic hate crime. On October 28, despite the sleet, about two hundred people gathered in front of Montreal’s Holocaust Museum to commemorate the lives of those killed in the Pittsburg synagogue shooting. The vigil was organized by Independent Jewish Voices (IJV) Montreal, IJV McGill, am McGill, and If Not Now McGill. Speakers, including Niall Ricardo, Sam Hersh, Hani Abramson, and Rachel Kronick reaffirmed their Jewish identity and emphasized anti-Semitism as part of broader racist violence. Niall Ricardo told The McGill Daily that “anti-Semitism doesn’t exist in a void; it’s tied to all kinds of racism and discrimination linked to the global rise of fascism.” Samer Majzoub, the President of the Canadian Muslim Forum, and Shaheen Junaid, the President of the Canadian Council of Muslim Women, spoke as well. Both offered their sympathies and emphasized the importance of solidarity in the face of violence and racism. Two other vigils have been organized in Montreal since then. One, organized by Federation CJA and CIJA-Quebec, took place Monday at 7:30pm at the Beth Israel Beth Aaron Congregation. The Congregation was at its maximum capacity; estimates range between several hundred and over a thousand attendees. Both David Ouellette, Director of Research and Public Affairs at CIJA-Quebec, and Lesli Green, Chief Communications Officer of Federation CJA, emphasized the importance of this vigil for Montreal’s Jewish community. Another vigil, organized by McGill, Concordia, and UdeM organizations such as Israel on Campus at McGill, IJV McGill, McGill Jewish Studies Students’ Association, Ghetto Shul, CIJA-Québec, Hillel Montreal, and others, took place at Concordia and McGill at 5:00p.m. on Tuesday, October 30. The Y intersection was full; approximately three hundred people attended. Jazlyn Hellman, President of Am McGill, told The McGill Daily that this vigil was important for campus Jewish communities to come and grieve together, both at McGill and Concordia. 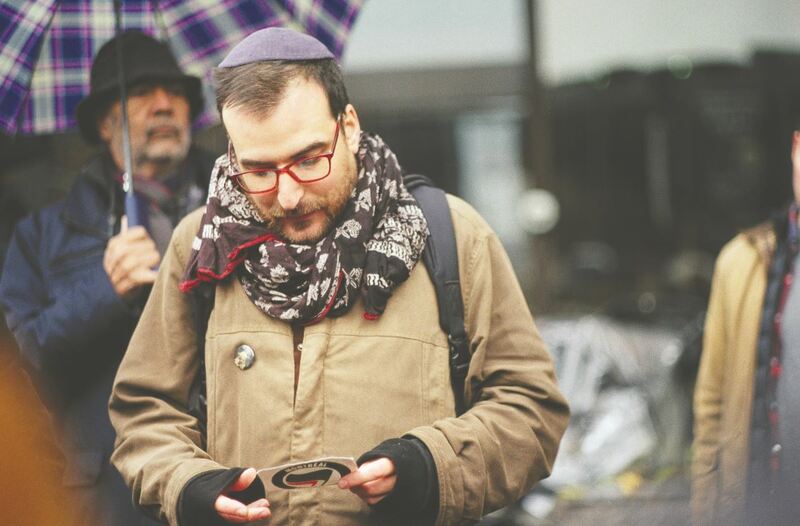 Niall Ricardo, of IJV Montreal, told The McGill Daily that various organizations such as Federation CJA and Centre for Israel and Jewish Affairs (CIJA) were invited to the vigil on Sunday, but they declined. Ricardo implied that this had to do with the differing positions of the organizations in terms of Israel: one of IJV’s key tenets is Palestinian solidarity, which is not an opinion shared by Federation CJA and CIJA. Ouellette, of CIJA-Quebec, said that the Sunday vigil was announced very shortly after the shooting, and that his organization was busy preparing for Monday’s vigil. Hellman, of Am McGill, said that because the shooting happened on Shabbat, during which some Jews do not work or use electricity, certain people were not aware of the vigil or could not attend. Representatives from all three vigils emphasized that these events brought communities together. More specifically, it brought the Jewish community together in the face of rising anti-Semitism.